My sister and I started a new blog, one dedicated to fashion. Not high fashion or anything but our fashion. She and I used to share all our clothes, but now with 1,400 miles between her closet and mine it's impossible to do so. Our blog was born out of that. We now share a blog to share our clothes. We'd love it if you guys came over and started following us. The posts are simple, just shots of us in our full-length mirrors, as we are both busy moms who don't have time to do a full blown photo shoot and picture editing session. I hope you guys like and follow along and comment whenever you feel inspired. Click here to visit. 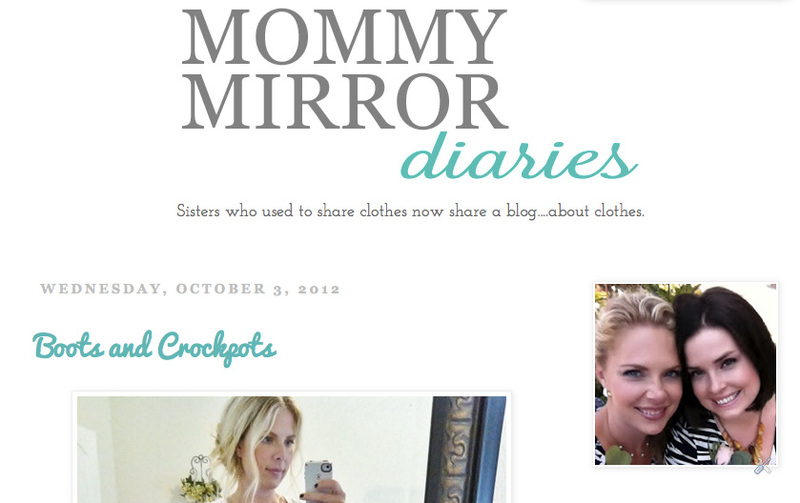 I just visited you new site "boots and crockpots" I love it! I look forward to seeing you cute girls in your cute outfits.